Stroeer enjoying a rest on the trails of Torres del Paine National Park in Patagonia. Within the first 24 hours of her 136-mile Annapurna Circuit mission, Suzanne “Sunny” Stroeer had to go to the well. She’d only started the Himalayan mountain loop 48 hours after the thought of running it first crossed her mind. 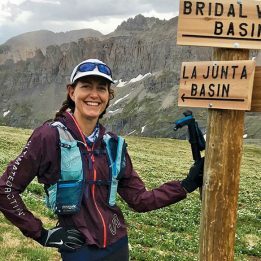 To have a shot at the women’s Fastest-Known Time (FKT—the standing record was 4 days 14 hours 43 minutes), Stroeer knew she needed to cover more than 40 miles of the bone-chilling, quad-burning, high-altitude terrain by the end of her second day. With more than 30,000 feet of elevation gain and its highest point nearing 18,000 feet, the Annapurna Circuit takes visitors between 17 and 21 days, passing through varied terrain, from the entry point’s jungle, to the sea of choppy 20,000-foot peaks. At midnight on November 15, 2017, she pried herself up from a nap to continue on. But she struggled. This was Stroeer’s first attempt at a multi-day speed mission, and she was attempting it alone, without any prior scouting. 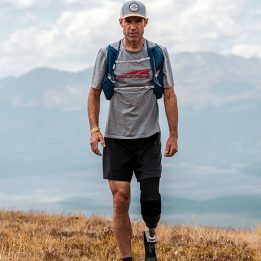 But, these sorts of high-mountain logistical puzzles found outside marked courses are what energizes Stroeer as an athlete—and largely serve as an analogy for her life. It’s a mentality she cultivated throughout her previous career as a high-flying international strategy consultant, after graduating from Harvard Business School. Based in Houston, Texas, the German juggled 80-hour work weeks and 48-hour warrior weekends. The experience, and habit, of putting yourself into uncomfortable and challenging situations brings higher levels of both self-awareness and confidence. By 2015, Stroeer was chronically exhausted, and troubled by the relative shallowness of her impact on the world while dressed in heels and a business suit. Looking up to formidable trail-running women like Anna Frost, who has spoken publicly about burnout, depression, eating disorders and doing social good as an athlete, Stroeer knew there was space in the outdoor community for her to do meaningful and fulfilling work. At the end of the year, she quit consulting. After quitting her consulting job, Stroeer wanted to help erase the gender imbalance she had perceived in the mountains. She has embodied this with her own FKT missions and her work with other women in the backcountry. Stroeer completed the Annapurna Circuit in a record 3 days 23 hours 39 minutes and the year before, in 2016, after leading a team of women up Argentina’s 22,841-foot Aconcagua, South America’s highest peak, she spontaneously decided to attempt the basecamp-to-summit speed record. Covering the 8,501 vertical feet in 8 hours 47 minutes, she successfully bested the record. “I think there is still a big achievement gap between men and women that has nothing to do with genetic predisposition, and everything to do with socialization and confidence,” she says. 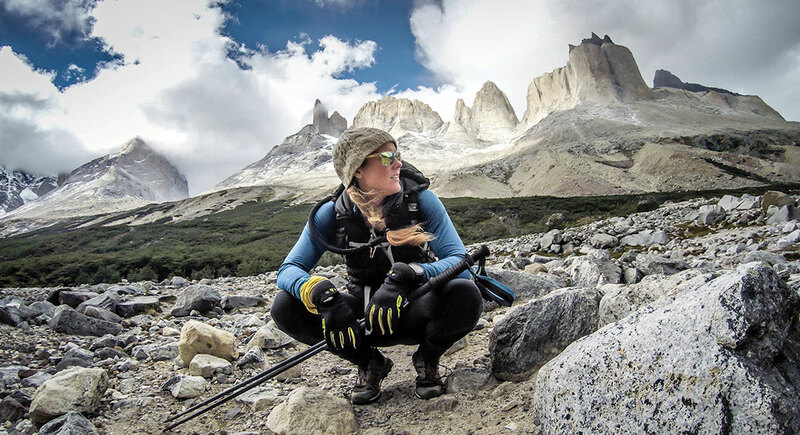 As a guide, Stroeer has organized all-female expeditions to high peaks around the world. This pursuit of trying and doing defines where Stroeer sees her future. “I’m dreaming of the South Pole and 8,000-meter missions,” she says. 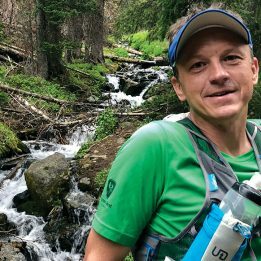 —This article originally appeared in the December issue of Trail Runner. To receive our great content directly to your door, click here.